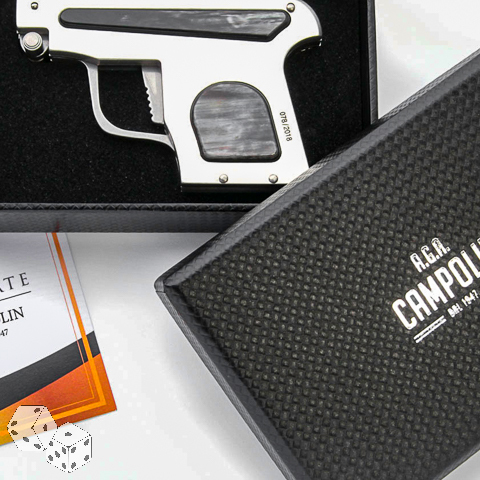 This is a remake of the original gun letter openers made in the 50s by AGA Campolin in Maniago Italy. Pull the trigger to fire the blade. Brushed finish alloy handles with brazil cow horn and each one is serial numbered.